You can never go wrong with apples and cinnamon baked in a cake. 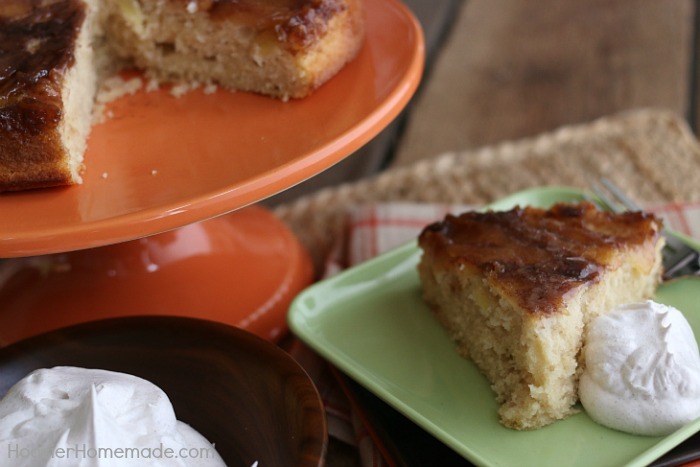 This Apple Cinnamon Upside Down Cake is perfect for any occasion! Add it to your Thanksgiving Dessert Table and impress your guests. No need to tell them it’s easy to make. Apples are one of my favorite fruits to bake with, they are super versatile and work well with a lot of flavors. During the Fall we love to add cinnamon for extra flavor, of course everyone loves caramel with apples as well. This Apple Cinnamon Upside Down Cake is packed with flavor from apples, cinnamon and brown sugar. But it’s really easy to make. It’s also a lighter version, made with Truvia Baking Blend and Brown Sugar Blend. If you have never tried baking an upside down cake before, you are in for a treat. They are super easy, yet so impress looking – you know – just how I like it! This cake begins with melted butter on the bottom of the pan. Then to add flavor, but keep the calories down, a good coating of Truvia Brown Sugar Blend. A sliced apple is added, arranged in a circle. Then the rich batter is spread on top. And into the oven it goes. After the cake cools for about 10 minutes in the pan, invert onto your serving dish. I added cinnamon whipping cream for an extra special treat. Truvia Baking Blend, it’s a sugar substitute blend of zero-calorie Truvia natural sweetener and sugar then packaged in a product that’s designed for easy, at-home baking. It also can be substituted for sugar in any recipe by simply using half as much Truvia Baking Blend as you would sugar. 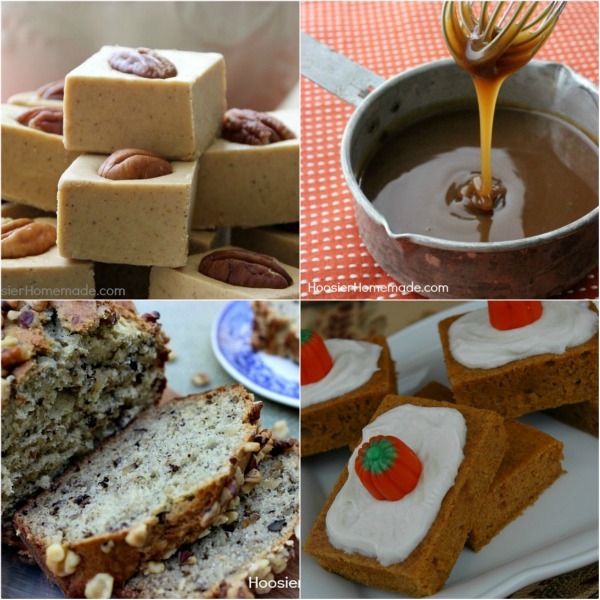 You may also like these Fall Desserts made with Truvia. 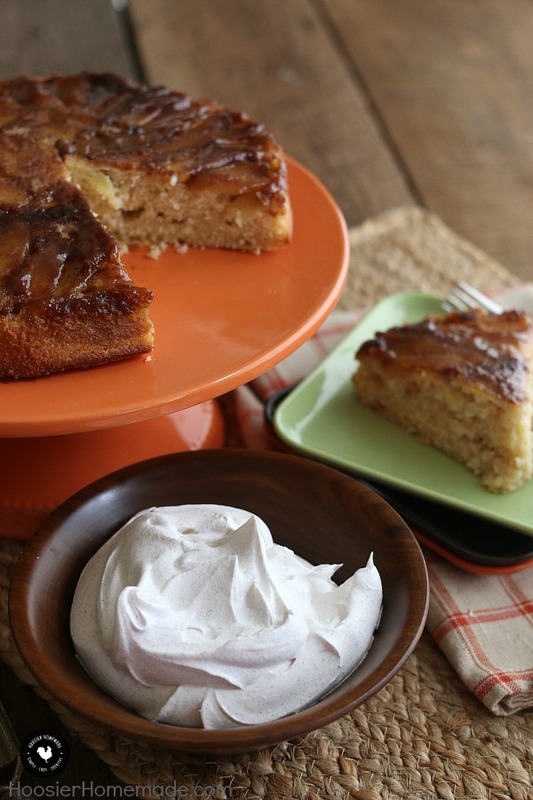 You can never go wrong with apples and cinnamon baked in a cake! 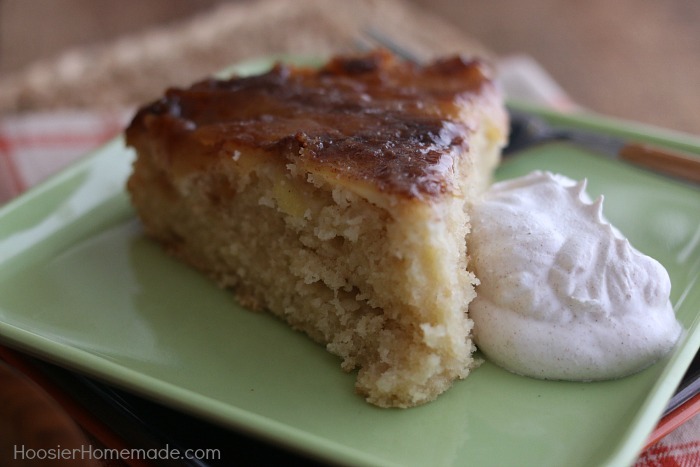 This Apple Cinnamon Upside Down Cake is perfect for any occasion! 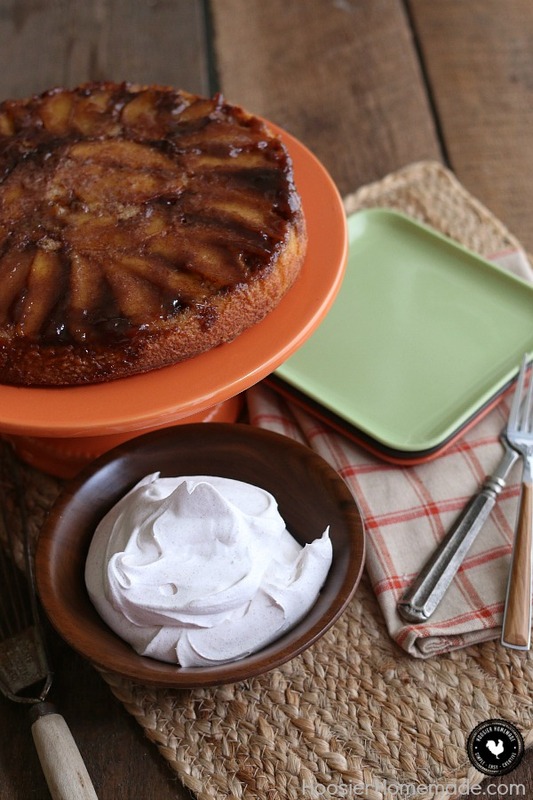 Add it to your Thanksgiving Dessert Table and impress your guests! No need to tell them it's easy to make!